Testing every possible scenario in a series of war games, a US military think tank has concluded it would take a resurgent Russia between 36 and 60 hours to push its 27 heavily-armored battalions past NATO's lightweight 12 to occupy the Baltic States. Most likely, the study found, Russia would start by launching a two-pronged attack across the Latvian border, sending heavily-armed battalions in from the north and the south. These battalions would push past the light-weight Latvian and NATO battalions before uniting to take the capital of Riga. Once secured, the remaining part of Russia's 27 maneuver battalions would cross the Narva reservoir into Estonia to take the ethnic Russian north-east before heading to Tallinn, the capital. NATO's only hope would be to concentrate its forces in Tallinn and Riga while stationing some delays along the main routes. But eventually, the West 'would have to launched a belated nuclear attack'. 'The outcome was, bluntly, a disaster for NATO,' the report concludes. 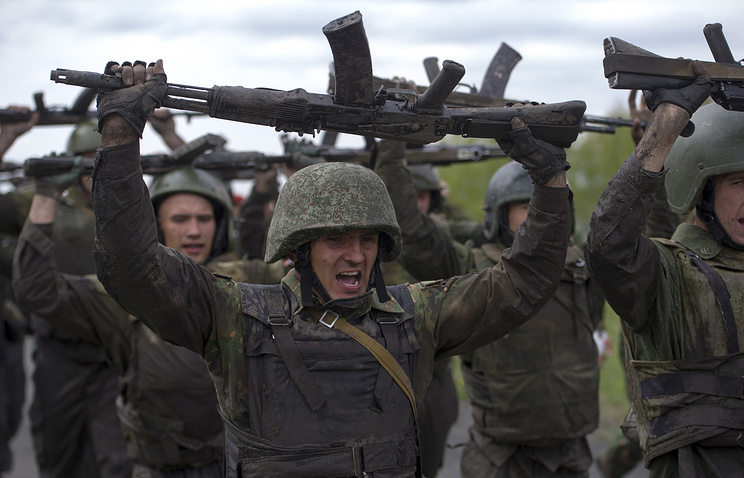 The report warns, NATO's ground forces are no match for Russia's. They do not have any battle tanks; all of Russia's do. And NATO would have little room for maneuver, annexed in by Russian forces in Kalingrad Oblast. In the scenario given by the study, NATO would have one week's notice to defend Eastern Europe. The study, carried out between 2014 and 2015, suggested even a combination of US and Baltic troops combined with US airstrikes would not be able to prevent Russia advancing. Seven of NATO's 12 battalions in Eastern Europe are domestic fleets of Estonia, Latvia and Lithuania. They only have one heavy armored fleet, a single Stryker battalion, and no main battle tanks, the report explains. Though NATO's air power could put up a strong defense, it would be futile as its lightweight ground forces would be plowed down by Russia's. 'The games' findings are unambiguous: As currently postured, NATO cannot successfully defend the territory of its most exposed members,' the report said. The study claims that 'avoiding such a swift and catastrophic failure does not appear to require a Herculean effort' - but it would be expensive. Airpower and artillery backed up with around seven brigades - three of them heavily armored - in the Baltic area would be enough to 'prevent the rapid overrun of the Baltic states'. But this would cost around $2.7 billion a year. 'Crafting this deterrent posture would not be inexpensive in absolute terms, with annual costs perhaps running on the order of $2.7 billion,' the authors write. The report emerged a day after the Obama administration said it will propose quadrupling what it spends on its troops and training in Europe, as part of the U.S. military's accelerating effort to deter Russia. President Barack Obama, in his final budget request to Congress, will ask for $3.4billion — up from $789million for the current budget year — for what the Pentagon calls its European Reassurance Initiative, which was announced in 2014 in response to Russia's annexation of Crimea and incursion into eastern Ukraine. Defense Secretary Ash Carter, giving an overview of the administration's proposed 2017 defense budget of $582.7billion, described Russia as a growing challenge for the United States. He said the U.S. was taking a 'strong and balanced approach' to deterring its former Cold War foe. 'We haven't had to worry about this for 25 years, and while I wish it were otherwise, now we do,' Carter said in a speech to the Economic Club of Washington. Obama, warning that Russia had taken an 'aggressive posture' near NATO countries, called it a 'challenging and important time' for the alliance, whose members in Europe are increasingly concerned about Russia's intentions after its incursions in Ukraine. He said the U.S. had taken decisive steps to bolster NATO since the start of Russia's actions in Ukraine, but that it hadn't been enough. 'It is clear that the United States and our allies must do more to advance our common defense in support of a Europe that is whole, free, and at peace,' Obama said. NATO's top civilian official, Secretary General Jens Stoltenberg, issued a statement applauding Carter's proposed increase in spending in Europe. Michal Baranowski, head of the Warsaw office of the German Marshall Fund of the United States, a think tank, said the increased spending was a positive development and would be a 'key ingredient' for success at a NATO summit to be attended by allied heads of government in July in the Polish capital. 'I think it's great news for Poland, the region and NATO as a whole — the extra investment will make NATO's flank safer by more effectively deterring Russia. It's also an important sign of U.S. leadership that is badly needed at NATO,' Baranowski said in an interview. This isn't news or new. They've always been able to do this. Kaliningrad. The movement of the missiles would be seen by the west as a sign of Russia seeking to establish facts on the ground before a new US president takes office in January. Estonian officials have said that Russia appears to be moving powerful, nuclear capable missiles into Kaliningrad, a Russian outpost province sandwiched between Poland and Lithuania along the Baltic coast. The Iskander-M missiles, which have a range of over 500km, are reportedly being transported by ship from the St Petersburg area. It had previously been reported that the Russians might seek to place the Iskander-M missiles in Kaliningrad but not until 2018-19. If confirmed, the move would be seen by western governments as another sign that Russia is seeking to establish facts on the ground, from eastern Europe to the Middle East, before a new US president takes office in January. Estonian officials said they were monitoring the ship and its contents. The ship, called the Ambal, was due to dock on Friday; reports of the cargo came from Estonian government sources. An Estonian defence expert said: “This weapon is highly sophisticated and there is no comparable weapon in western armoury. It can carry nuclear weapons, change direction mid-flight and fly distances of up to 500km. As such it is capable of threatening Poland, including the US missile defence installations there. You would not change the date of the delivery of a system such as this on a whim. 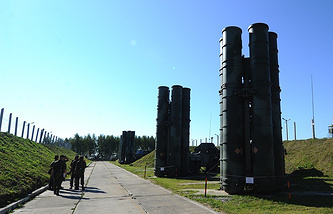 The intention is to make a strong strategic point.” The Russians already have a missile brigade on Kaliningrad, but the OTR-21 Tochka short-range missile is less sophisticated, and not capable of carrying nuclear weapons. The Iskander-M, the Persian name for Alexander the Great, is a ballistic rocket system designed to destroy strategic targets, and its stationing is arguably in breach of the intermediate-range nuclear forces treaty. Marko Mihkelson, the chairman of the Estonian parliament’s national defence committee, told Estonian news agency ERR on Friday that since the transportation of the system was now taking place with the help of a civilian vessel, he had reason to think that Russia was trying to take the missiles to Kaliningrad in secret. Mihkelson added that what was going on was part of a broader security situation, and that it was Russia’s intent to provoke western governments and increase pressure on them. On Monday Russia cancelled its weapon-grade plutonium disposal agreement with the US. The chief of staff of the Estonian defence forces, Lt Gen Riho Terras, said Russia’s recent actions show the country’s wish to expand its control of the Baltic Sea. “In the long term Russia’s wish is to bring the Baltic Sea and the passages leading to it more and more under its control, and to control it much like it does the Black Sea,” Terras said to ERR on Friday. The Estonian prime minister Taavi Rõivas said: “References to Iskander missile system being transported by the Baltic Sea to Kaliningrad are certainly alarming and show yet again Russia’s attempts to pressure the west by using different tools. “This week alone Russia announced that it unilaterally suspended the plutonium disposal agreement, with demands such as the removal of all economic sanctions and compensation for the damage they have caused. “Russia’s continuous aggressive actions only reaffirm the necessity for Nato’s increased military presence in the Baltic States and Poland. On Thursday, a Russian military An-72 aircraft penetrated Estonian airspace over the island of Vaindloo without permission and spent about minute and a half in the country’s airspace. The aircraft transponder was switched on, but no flight plan was submitted and the aircraft did not respond to radio contact with the Estonian air movement service. The Estonian foreign ministry on Friday summoned the Russian ambassador to Estonia to hand him a protest note. Finland said two similar planes had passed over its territory as it prepared to sign a defence pact with the US. 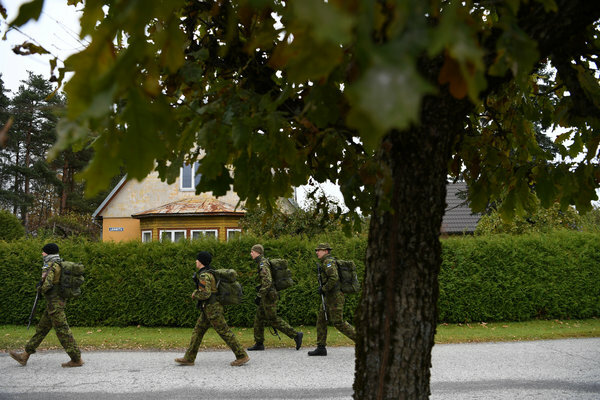 Members of the Estonian Defense League set off for a patrol competition near the town of Turi in central Estonia. The events, held nearly every weekend, are called war games, but they are not intended to be fun. Her face puffy from lack of sleep, Vivika Barnabas peered down at the springs, rods and other parts of a disassembled assault rifle spread before her. At last, midway through one of this country’s peculiar, grueling events known as patrol competitions, she had come upon an easy task. Already, she and her three teammates had put out a fire, ridden a horse, identified medicinal herbs from the forest and played hide-and-seek with gun-wielding “enemies” in the woods at night. By comparison, this would be easy. She knelt in the crinkling, frost-covered grass of a forest clearing and grabbed at the rifle parts in a flurry of clicks and snaps, soon handing the assembled weapon to a referee. 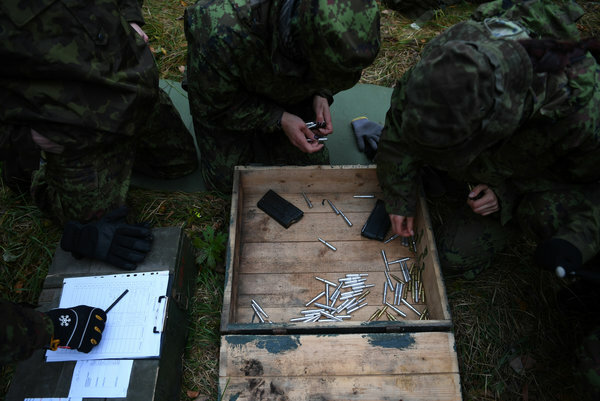 A team loaded and removed cartridges from rifle magazines in a timed test. “We just have to stay alive,” Ms. Barnabas said of the main idea behind the Jarva District Patrol Competition, a 24-hour test of the skills useful for partisans, or insurgents, to fight an occupying army, and an improbably popular form of what is called “military sport” in Estonia. The competitions, held nearly every weekend, are called war games, but are not intended as fun. The Estonian Defense League, which organizes the events, requires its 25,400 volunteers to turn out occasionally for weekend training sessions that have taken on a serious hue since Russia’s incursions in Ukraine two years ago raised fears of a similar thrust by Moscow into the Baltic States. Estonia, a NATO member with a population of 1.3 million people and a standing army of about 6,000, would not stand a chance in a conventional war with Russia. But two armies fighting on an open field is not Estonia’s plan, and was not even before Donald J. Trump, the Republican presidential candidate, said European members of NATO should not count on American support unless they pay more alliance costs. Since the Ukraine war, Estonia has stepped up training for members of the Estonian Defense League, teaching them how to become insurgents, right down to the making of improvised explosive devices, or I.E.D.s, the weapons that plagued the American military in Iraq and Afghanistan. Another response to tensions with Russia is the expansion of a program encouraging Estonians to keep firearms in their homes. The Jarva competition entailed a 25-mile hike and 21 specific tasks, such as answering questions of local trivia — to sort friend from foe — hiding in a bivouac deep in the woods and correctly identifying types of Russian armored vehicles. On a recent weekend, 16 teams of four people had turned out, despite the bitter, late fall chill. The competition was open to men, women and teenagers. Ms. Barnabas and her three teammates had spent the night hiding in a nest lined with pine needles and leaves on the forest floor, while men playing the occupying army stomped around, firing guns in the air and searching for them. Contestants who are found must hand over one of the 12 “life cards” they carry, which detracts from their final score. “It’s cold and you lie on the ground, looking up at the stars and hearing shooting and footsteps nearby,” said Ms. Barnabas, a petite woman who is also a coordinator for the league in her day job. 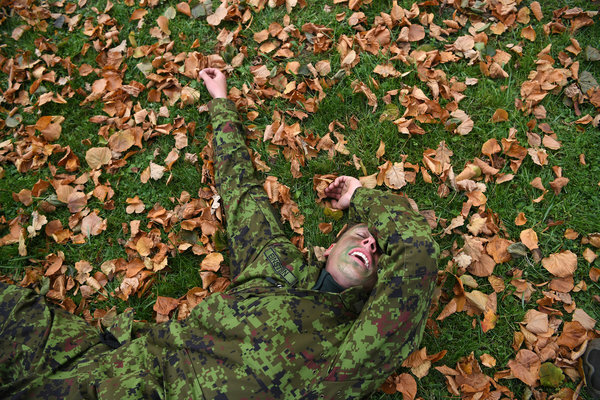 She was swathed in a few layers of long underwear and camouflage. A team demonstrated its first-aid skills during the competition. Members bring their rifles and rucksacks packed with camping comfort foods like salami, Snickers bars and Gatorade, as well as first-aid kits. Encouraging citizens to stash warm clothes, canned goods, boots and a rifle may seem a cartoonish defense strategy against a military colossus like Russia. Yet the Estonians say they need look no further than the wars in Iraq and Afghanistan to see the effectiveness today, as ever, of an insurgency to even the odds against a powerful army. Estonia is hardly alone in striking upon the idea of dispersing guns among the populace to advertise the potential for widespread resistance, as a deterrent. Of the top four nations in the world for private gun ownership — the United States, Yemen, Switzerland and Finland — the No. 3 and 4 spots belong to small nations with a minutemen-style civilian call-up as a defense strategy or with a history of partisan war. “The best deterrent is not only armed soldiers, but armed citizens, too,” Brig. Gen. Meelis Kiili, the commander of the Estonian Defense League, said in an interview in Tallinn, the capital. A team of military cadets won the competition. The number of firearms, mostly Swedish-made AK-4 automatic rifles, that Estonia has dispersed among its populace is classified. But the league said it had stepped up the pace of the program since the Ukraine crisis began. Under the program, members must hide the weapons and ammunition, perhaps in a safe built into a wall or buried in the backyard. For the competitions, members bring their rifles and rucksacks packed with camping comfort foods like salami, Snickers bars and Gatorade, as well as first-aid kits. But why bother with the stocking caps, the hidden ammunition and the rucksacks if, under Article 5 of the NATO charter, the United States is obliged to send the full might of its military hurtling into Estonia in an attack? The Estonian government says that ignores Article 3, which stipulates that each member should also prepare for individual defense. But skeptics cite another reason: fears that the United States and Europe might not have the stomach for a confrontation with Russia, even though they are currently building up their military presence in the Baltics. That would leave Estonia to fend for itself. A member of the team that placed second sank to the ground to recuperate after crossing the finish line. Whatever the reason, training for underground warfare is going ahead here, where partisans are still glorified for fighting the Nazis and Soviets in World War II. Members of the community also take part in the drills. The competition to identify edible and medicinal herbs, for example, was run by a high school biology teacher. The fire department staged a competition to put out a small blaze in a barrel. A horseback-riding school for children tested moving a “wounded” colleague by horse. Jaan Vokk, a retired corporal with the Estonian Army, ran the competition to identify armored vehicles on a slide show on his laptop. “Sometimes it feels like they are getting us ready for something,” he said ominously, while quizzing a teenage girl in camouflage to identify Russian tanks. The girl was ready, rattling off the names as pictures flashed on the computer screen — “T-72 main battle tank, BTR-80 armored personnel carrier” — and earning a nearly perfect score. Mr. Vokk served with the army in Afghanistan, where, he said, he gained an appreciation for the effectiveness of I.E.D.s. (CNN ) If you invade, don't expect our people to make it easy for you. That was the message Lithuania sent to Russia Friday as it published a manual for its three million citizens on how to defend their homeland in the event of invasion. Since Russia annexed Crimea two years ago, Lithuanians have been on edge. Conscription has been restarted and defense spending ramped up, not to mention their now-answered calls for NATO to deploy more troops to the Baltics. But even this is not enough to assuage anxiety -- the Lithuanian government has Friday issued a 75-page guide on what to do if the country is invaded, entitled "Prepare to survive emergencies and war." "Attention needs to be paid to the actions of the neighboring country -- Russia," says the manual. "This country does not hesitate to use a military force against its neighbors, and at this moment it basically continues the military aggression against Ukraine." It notes the Russian method of using "denial and ambiguity" at the beginning of an invasion and warns: "It is most important that the civilians are aware and have a will to resist -- when these elements are strong, an aggressor has difficulties in creating an environment for military invasion." The last one, published in December 2015, was entitled "Prepare to survive emergencies and war: a cheerful take on serious recommendations." It included cartoons of a family with a cat and noted that "while no country is immune to adversities of any nature" it is important not to panic if there is an emergency. 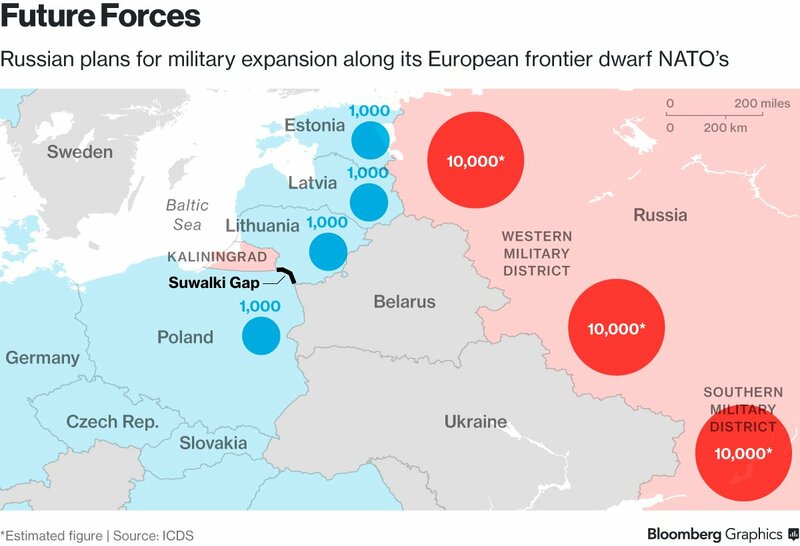 Lithuania borders Russia's strategically important enclave of Kaliningrad where it has been enhancing its already muscular military options, including the arrival of a nuclear-capable short-range ballistic missile system earlier this month. The document reminds Lithuania's people -- of whom around six percent are Russian, according to the last census in 2011 -- that the defense of the country is "the right and duty of every citizen". Karolis Aleksa from the Lithuanian Ministry of Defense, the editor of the manual, said that in times of invasion, "people become your early warning system," and by reporting crucial details they can help intelligence officers and soldiers. "This doesn't scare people when you give them this, so we will see actually society is waiting for this," he told CNN. Additionally, he suggested, simply creating and distributing the manual publicly and with "fanfare" could deter potential aggression from Russia. "It is precisely to send a message to Russia -- don't do it -- we are ready and will not be hoodwinked like Ukrainians," he said. Lithuania's defense minister, Juozas Olekas, told CNN "We demonstrate that whoever crosses our border will have strong resistance from our society, from our military forces"
Lithuania lived under Soviet rule from 1940-1991. Thirty thousand Lithuanian resistance fighters were killed in the first 10 years as they tried to fight the Red Army from flimsy hideouts in Lithuania's sprawling forests. With ramped up defense spending, the reinstatement of conscription and NATO's troops, Lithuania is at the front line of a new Cold War. Its defense minister sees no thaw any time soon, telling CNN: "President Putin only understands power against power." The new handbook aims to place some of that power in the hands of Lithuania's people. Moved my recent Estonia thread to here. Should have posted it here originally. No idea why I didn't. Russia continues to issue threats to countries on its borders — most notably those with significant populations of ethnic Russians like Georgia and Ukraine which have already felt Moscow’s wrath in recent years. But many European countries have reduced their spending in the decades since World War II, so preparing for a potential war with their aggressive and highly militarized neighbor is not as simple as giving their soldiers MREs, bullets, and marching orders. And while the U.S. helps guarantee the security of NATO members, a recent analysis by the RAND Corporation indicates that many countries on the eastern front could be swallowed up long before American reinforcements could arrive. Some countries, like Estonia, could be conquered in as little as 60 hours, analysts say. Ukraine is the one state on the list who is currently engaged in a war with Russia. While their troops have fought limited groups of Russian “volunteers,” Ukraine’s top generals are worried about a full-scale air attack and ground invasion. To prepare, they’re digging trenches and emplacing fixed defenses like tank traps and bunkers. They’ve also practiced maneuvering mobile air defenses and other units. Finally, Ukraine is planning a massive expansion of its navy to replace many some of the ships captured by Russia in the 2014 annexation of Crimea. Estonia fields an army of only 6,000 soldiers and fully expects to be overrun within days if attacked by Russia, an outcome that the RAND Corporation agrees with. But Estonia plans to make the Russians regret ever acre they took. The nation is hosting “military sport” contests and encouraging citizens to keep weapons in their homes. The sports events include 25-mile ruck marches, evasion exercises, plant identification, and others which test skills useful for an insurgent force. 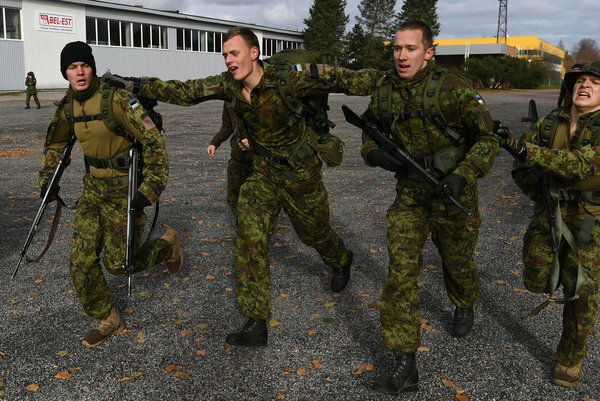 Over 25,000 Estonians have joined the weekly drills. Like Estonia, Latvia is bullish on training citizens to resist an invasion. They’re moving forward with plans to allow “home guard” member to keep their weapons and night vision devices in their homes. They’re also betting heavily on special operations forces, tripling the size of the National Armed Force Special Operations Forces. Like most NATO members, they’re also trying to get more NATO troops on their soil to deter Russian aggression in the first place. Britain is already sending troops for exercises, and Denmark and France have promised forces as well. Lithuania has distributed a civil defense book to its citizens which details how to survive a Russian invasion that includes a phone number which residents can call to report suspected Russian spies. It is also planning to restart military conscription for men between the ages of 19 and 26. Norway officially acknowledged that it believes Ukraine was illegally occupied by Russia during a state visit to Ukraine on Oct. 18. Russia later added Norway to its list of targets for “strategic” weapons. Russia uses the word “strategic” to differentiate between conventional and nuclear-capable forces. Norway has invited more NATO troops, including U.S. Marines, to train there. It’s also stepped up its intercepts of Russian aircraft flying near its shores. Norway’s F-16s now maintain a 24-hour alert. The country is also re-opening Cold War-era bases in the far north. Poland, which is considered to be one of the more hawkish NATO members, has been warning of a threat from Moscow for some time. For the past few years, it has championed regional security agreements with its neighbors and worked hard to ingrain itself with NATO. Since Russia invaded Ukraine, Poland has ramped up the purchase of military hardware such as new, stealthy submarines and Polish-manufactured S-70 helicopters for its special operations soldiers. 7. and 8. Finland and Sweden are securing defense agreements with the U.K. and U.S.
Finland and Sweden are countries which famously prefer to avoid alliances, but Russian aggression has spurred an interest in limited defense agreements which will make it easier for NATO troops to deploy to those countries in the event of war. The U.K. and U.S. signed two contracts each with Sweden and Norway, and all four agreements have different details. But, the broad strokes are that all four countries will increase their interoperability by holding joint training exercises as well as participating in research, development, and procurement projects. Nov 4, 2016 12:30:00 am Logan is a former Fort Bragg paratrooper who deployed with the 82nd Airborne Division's 4th Brigade Combat Team. OFFICIALS in Sweden have been told to prepare for WW3 with Russia – returning to a Cold War footing. The Swedish government has sent letters to all local authorities, warning they must be ready for war to break out. The message tells civil servants to speed up decision-making, get better at keeping information secret – and improve “crisis communication”. The new instruction comes after Sweden station troops on its island Gotland – across from Russia in the Baltic Sea – to ward off any invasion. Vladimir Putin is primed to start World War 3 by invading Europe in 2017, military experts warned. 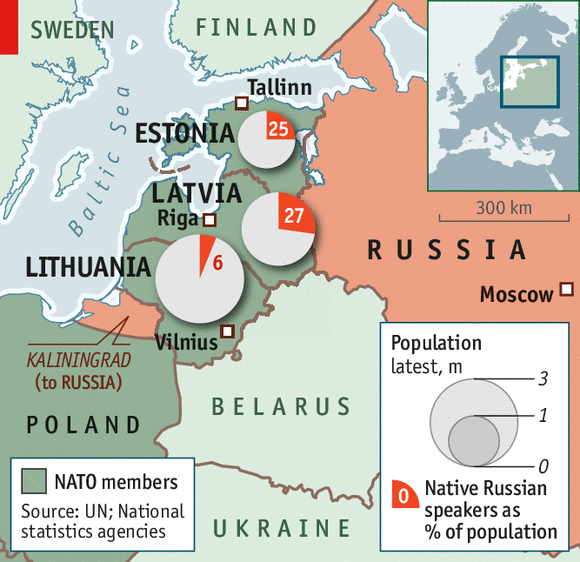 The officials said the Baltic states of Lithuania, Latvia and Estonia – which are NATO members – are most at risk. Magnus Dyberg-Ek, of Sweden’s Civil Contingencies Agency, said: “What is new is that the security situation in our region has deteriorated and that therefore we must prepare ourselves in terms of war and of conflict. “This strategy is not new – we used it during the Cold War and will now strengthen coordination regarding civil defence. peace and stability in the region in light of the Russian intervention in Ukraine." than 50 units of US military equipment, including four battle tanks and 15 infantry fighting vehicles, were delivered to Tapa, the Estonian Defense Forces said in a statement . Personnel of the Charlie Company of 68th Armored Regiment's 1st Battalion from the US Army 4th Infantry Division arrived in the town two days earlier, on January 30. Company commander Captain Edward Bachar said the US troops would take part in the Estonian Independence Day parade. Earlier, Bachar also said that his company would begin its expert marksmanship training this week. The new unit would replace a paratrooper company of the 173rd Airborne Brigade's 503rd Infantry Regiment, which was deployed to Estonia in September. The paratrooper company would then go back to its permanent base in Italy. In addition to American troops going to Poland, NATO members Germany, Canada and Britain are also contributing to the significant NATO forces buildup in Eastern Europe and are sending battalions of up to 1,000 troops each to Estonia, Latvia and Lithuania. Meanwhile, while NATO members continue to point toward perceived “Russian aggression,” calling it “a source of instability,” Russia has repeatedly denied that it poses any kind of threat. Moscow has also expanded its own military training and increased its strategic nuclear capabilities in areas such as Kaliningrad, its western exclave. Russia also tried to ease tensions by proposing enhanced cooperation with NATO on multiple levels in August. The proposal covered such fields as combating terrorism and “cooperation to avoid incidents at sea and in the air” in border areas with NATO countries. 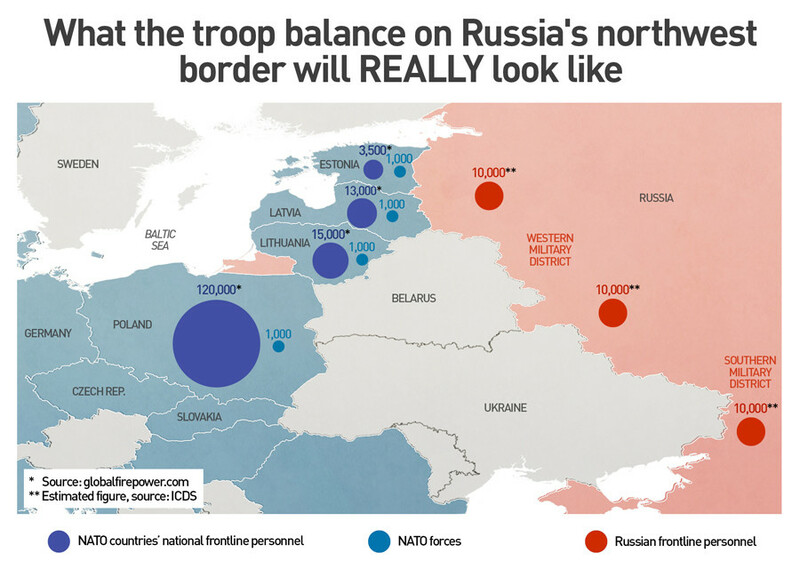 A Giant Russian Exercise Will Soon Put 100,000 Troops on NATO’s Border. Then What? Estonia’s Tsahkna said “transparency” is always a question whenever Russia conducts exercises. Several Baltic officials have warned that Russia may leave troops in Belarus after the exercise. During his own trip to the United States, Latvia’s defense minister, Raimonds Bergmanis, said his department is trying to figure out just how likely that is. But even if those fears prove unfounded, such a large buildup is “simply destabilizing,” U.S. Defense Secretary Jim Mattis said while visiting Lithuania last month. More military units in a given area raises the chance of everything from accidents to probes to deliberate provocations. The exercise fits into the wider picture of disruptive Russian activities, from buzzing Baltic, U.S. and NATO military ships and aircraft in the region to information campaigns designed to destabilize Western nations. Karoblis said some Russian politicians have begun suggesting that two of Lithuania’s western provinces close to Kaliningrad were originally given to the country by Joseph Stalin — statements that echo Moscow’s rhetoric around the historical ownership and culture of Crimea and eastern Ukraine. Estonia, Latvia and Lithuania have been rapidly increasing their defense spending ever since Russia’s 2014 annexation of Crimea. But ultimately, their ability to deter Moscow depends on their European and NATO allies. Each Baltic country could mobilize several tens of thousands of troops, not the hundred thousand Russia is likely to amass for this exercise alone. This past weekend, President Trump explicitly affirmed the U.S. commitment to Article 5, which requires the alliance to collectively defend any member under military attack. Polish soldiers attend a welcoming ceremony for U.S.-led NATO troops at polygon in Orzysz, northeastern Poland, Thursday, April 13, 2017. Islamic State fighters parade in a commandeered Iraqi security forces armored vehicle down a main road of Mosul, Iraq, when they controlled the city in 2014. An Irish sergeant and a member of the Swedish Armed Forces participate in the EU Battle Group Sweden's Exercise Joint Action in 2014. In this May 21, 2017, file photo, President Donald Trump, right, holds a bilateral meeting with Qatar's Emir Sheikh Tamim Bin Hamad Al-Thani, in Riyadh, Saudi Arabia. An airstrip, structures and buildings on China's manmade Subi Reef in the Spratly chain of islands in the South China Sea in April 2017. Trump had not done so during a visit to the alliance headquarters in Brussels two weeks earlier, surprising his fellow heads of state and even his own administration officials, who spent the following days reassuring allies about American’s continued commitments around the globe. Last week, the Baltic defense ministers said they were confident in it anyway — Mattis had articulated those vows when visiting Lithuania. But an explicitly united front, including the U.S., creates a stronger deterrent. That is why the Baltic defense ministers spent last week hopping between DC think tank events and meetings on Capitol Hill as a trio more often than not. The United States is concerned about possible Russian incursions along NATO's Baltic borders during large Russian military exercises in September and will send more troops to the area, the commander of U.S. troops in Europe said on Friday. Russia has denied Western concerns that its Zapad 2017 war games will threaten stability in eastern Europe. NATO officials believe the exercises could involve more than 100,000 troops, the biggest such Russian maneuvers since 2013. "When [Russia] went into Crimea, that was against the backdrop of an exercise. When they went into Georgia - that was an exercise," Lieutenant General Ben Hodges told Reuters. Russia annexed Ukraine's Black Sea peninsula of Crimea in 2014 and in August 2008 it sent troops into Georgia, saying it was protecting civilians in Georgia's South Ossetia region. "We are all working hard to be at the highest levels of readiness during exercises like this," Hodges said. Previous Russian large-scale exercises in 2013 employed special forces training, longer-range missiles and unmanned aerial vehicles that were later used in Russia's annexation of Crimea, its support for separatists in eastern Ukraine and in its intervention in Syria, NATO diplomats said. Officials expect the exercise, in which Russian ally Belarus will also take part, could involve nuclear weapons training. Nuclear-capable mid-range modern Iskander missiles will be again deployed in the Russian Baltic enclave of Kaliningrad during the exercise, the officials said. Estonia's defense minister said in April that Russia may use Zapad to move troops permanently into Belarus later this year in a warning to NATO. Russia's defense ministry did not immediately reply to a Reuters request for comment on the subject. Three U.S. exercises will be underway at the same time as Zapad, in Sweden, Poland and Ukraine, and a U.S. armored brigade team is already deployed in Europe. U.S. Defense Secretary Jim Mattis called the forthcoming Russian build-up "destabilizing" last month, and officials suggested the U.S. Army will be deploying a battery of Patriot missiles to Lithuania for two weeks in July. Russia’s behavior exemplifies what American political scientist John Mearsheimer describes as structural offensive realism, a school of thought that “maintains it makes good strategic sense for states to gain as much power as possible.” Mearsheimer further explains that in a political system without a higher authority above the great powers, with no guarantee that one will not attack another, it makes eminently good sense for each state to be powerful enough to protect itself.”  Russia’s modern day philosophy of consolidating power to protect its territory stems from a surprise attack by Nazi Germany in 1941 that resulted in over four million Soviet casualties during Operation Barbarossa, and 20 million total on the Eastern front. In the aftermath of these catastrophic loses, the Soviet Union created buffer space between itself and Western Europe by establishing an uncontested sphere of influence in Eastern Europe running from Estonia to Bulgaria. In the aftermath of the Soviet Union’s dissolution, NATO filled the security vacuum in Eastern Europe by adding 12 countries to its ranks, which were formally within the Soviet Union or its sphere of influence. As Russia rebuilt from Soviet era communism to a market based economy, the great power re-emerged capable of re-asserting its sphere of influence on neighboring nations. In fact, Russia once again identifies NATO as a threat to its national security as it did during the Soviet era. Although NATO is an organization of 28 member states, it competes directly with Russia for security through a system of structural realism, described by MIT Political Professor Barry Posen as the “anarchical condition of international politics.” Posen’s suggestion that major powers struggle to control a finite amount of security that exists in the world nests with leading international affairs professor Dr. Robert Jervis who concludes that a “security dilemma exists when a state tries to increase its security by decreasing the security of others.” Dubbed the "spiral model" Jervis explains that interaction between states seeking only security strains political relations. Estonia finds itself caught in the crossfire of a security struggle between Russia and NATO because Russia is attempting to reclaim dominance over its sovereign neighbors. NATO currently holds security dominance in Estonia, but according to Russian President Vladimir Putin’s former top economic adviser, Andrey Illarionov, “Putin has his eyes on eventually reclaiming Estonia”. Estonia felt the brunt of a resurgent Russia in 2007 when suspected Russian hackers overwhelmed Estonia’s Internet infrastructure in response to Estonia’s relocation of a Soviet war memorial within their capital city of Tallinn. As Estonia relocated the statue to a local cemetery, Russian sympathizers in the country rioted over the course of two days. The result was 153 injuries and 800 arrests. During the course of the unrest, the Russian government unequivocally stated that moving the statue would be “disastrous for the Estonians.” Over the next several days, Estonia suffered an unprecedented cyber-attack that crippled banks, broadcasters, police, and the national government. Simultaneously, during the WWII Victory Parade in Moscow’s Red Square, Putin commented “those who are trying today to desecrate memorials to war heroes are insulting their own people, sowing discord and new distrust between states and people.” Moscow’s comments had the effect of fueling Russian nationalism, which manifested in the Russian speakers’ efforts to save the embroiled Soviet war memorial. Russia regularly uses nationalistic propaganda through its mainstream media networks to influence Russian speakers within Estonia, many of whom have family members living in the country. Russian media outlets broadcast news, political commentary, and entertainment worldwide in a modern format with the objective, according to the International Center for Defense and Security to “build support among Russians for Putin and his vision of a powerful, renascent Russia.” Marko Mihkelson, Chairman of the Estonian Parliament’s National Defense Committee underscores that Russia’s “sophistication using television, Internet, and social media is on the highest level.” Alarmingly, in accordance to Estonian law, Russian citizens and stateless non-citizens residing in Estonia “may vote at the local government council elections if he/she resides in Estonia on the basis of a long-term residence permit or the right of permanent residence.” The fact that 25% of Estonia’s population is susceptible to Russian propaganda, many of whom are disenfranchised from the national government but can legally vote, brings significant potential for Russia to easily convince voters in an Estonian election to choose the political candidates preferred by the Russian government. Consequently, multiple local level pro-Russian political leaders throughout Estonia could fan the flames of public opinion to influence national leaders to change policies and laws to be sympathetic to Russia. Considering Estonia struggled to obtain a simple majority to elect its current President in 2016, a process that took an unprecedented three separate nation-wide votes, the political will of Estonians is far from certain. Of course, the non-citizen disenfranchised Russian speakers could not vote in national elections, but the pro-Russian Centre Party achieved 25% of the national vote. If Estonia becomes sympathetic towards Russian interests in the future, the new political order is highly likely to undermine NATO’s security efforts in the Baltics. An alternate viewpoint is that Estonia’s membership in NATO will deter Russia from interfering in Estonia’s affairs. The collective security of 28 NATO member nations codified in the Article Five of the NATO defense agreement specifies, “an armed attack against one or more signatories shall be considered an attack against them all. Moreover, member nations will take necessary action, including the use of armed force, to restore and maintain the security of the North Atlantic area.” The Russian occupation of Ukraine and Georgia was not stopped because neither country is a member of NATO. If Russia can tilt Estonia’s political landscape in their favor through the democratic process, the U.S. and NATO would find themselves in a difficult position to stop it. After all, the current U.S. National Security Strategy states “America is routinely expected to support peaceful democratic change.” Simultaneously, the NATO Strategic Concept underscores the fact that the alliance thrives as a source of hope because it is based on, among other things, democracy. Consequently, the U.S. and NATO would have little choice but to accept the will of the Estonian people. In conclusion, Jervis’s perspective of international relations explains that Estonia’s security is based upon a larger struggle between the great power of Russia and the collective security alliance of NATO. Jervis’ spiral model predicts the security struggle between Russia and NATO will continue because Russia is attempting to reclaim its dominance over NATO in Estonia. Although Estonia will look to NATO for its security, the small European nation has a critical vulnerability expressed in its large Russian speaking population - which is highly susceptible to Russia’s mainstream propaganda. Russia has incredible potential to rally the disenfranchised Russian speakers in Estonia by using nationalism to reassert Russian security dominance in Estonia through a legitimate political process to which, ironically, the democratic countries of NATO must acquiesce. Cody Zilhaver is a U.S. Army Colonel. He holds a B.S. from Edinboro University, a M.A. from Webster University, a M.A. from the Naval War College, and a M.A from the Air War College. The views expressed in this article are the author's and do not reflect the official position of the U.S. Army, the Department of Defense, or the U.S Government. John J. Mearsheimer, "Structural Realism," in Tim Dunne, Milja Kurki, and Steve Smith, eds., International Relations Theories: Discipline and Diversity, 2nd Edition (Oxford: Oxford University Press, 2010), 72. New World Encylopedia, “Operation Barbarosa,” http://www.newworldencyclopedia.org/...ion_Barbarossa - cite_note-about-2, (accessed March 22, 2017). Farchy, “Putin names Nato among threats in new Russian security strategy,” Financial Times, https://www.ft.com/content/6e8e787e-...7-e5e5bba42e51, (accessed March 22, 2017). Barry R Posen, "Nationalism, the mass army, and military power." International Security (1993), 82. Charles L. Glaser, 1997. “The Security Dilemma Revisited.” World Politics (50): 171. John Aravosis, “Putin wants Finland, Baltic States, says former top adviser,” http://americablog.com/2014/03/putin...p-adviser.html, (accessed March 23, 2017). Patrick H. O’Neil, “The Cyberattack that Changed the World,” The Daily Dot, https://www.dailydot.com/layer8/web-...russia-estonia, (accessed March 17, 2017). Barry R Posen, "Nationalism, the mass army, and military power." International Security (1993), 81. Opinion Surveys,“ http://www.icds.ee/publications/arti...pinion-surveys, (accessed March 18, 2017). Katja Koort, “The Russians of Estonia: Twenty Years After,” World Affairs, July/August 2014. Jill Dougherty and Riina Kaljurand, “Estonia’s ‘Virtual Russian World’: The Influence of Russian Media on Estonia’s Russian Speakers,” International Center for Defense and Security, October 2015. Valimised, “Right to Vote” http://www.vvk.ee/info-for-voters, (accessed March 18, 2017). “The North Atlantic Treaty,” April 4, 1949, http://www.nato.int/cps/en/natohq/of...exts_17120.htm. Russia’s behavior exemplifies what American political scientist John Mearsheimer describes as structural offensive realism, a school of thought that “maintains it makes good strategic sense for states to gain as much power as possible.” Mearsheimer further explains that in a political system without a higher authority above the great powers, with no guarantee that one will not attack another, it makes eminently good sense for each state to be powerful enough to protect itself.”  Russia’s modern day philosophy of consolidating power to protect its territory stems from a surprise attack by Nazi Germany in 1941 that resulted in over four million Soviet casualties during Operation Barbarossa, and 20 million total on the Eastern front. That pretty much says it all, right there. America and Russia, China, etc... Need to be powerful enough to protect themselves, from within and from without, from any potential enemy. Whether they can without avoiding war, this is a difficult question indeed. One day after Russia flew within 5 feet of United States recon plane flying over the Baltic, NATO buzzed past Russian Defense Minister Sergei Shoigu’s plane while carrying the Russian defense minister. A plane carrying Russian Defense Minister Sergei Shoigu was buzzed by a NATO F-16 fighter jet as it flew over the Baltic Sea, but was seen off by a Russian Sukhoi-27 military jet, Russian news agencies reported on Wednesday. The F-16 had tried to approach the aircraft carrying the defense minister even though it was flying over neutral waters, agencies said. Shoigu was reported to be en route to the Russian exclave of Kaliningrad for a meeting to discuss how well Russia's western flank was defended. One of the Russian fighter jets escorting Shoigu's plane had inserted itself between the defense minister's plane and the NATO fighter and tilted its wings from side to side to show the weapons it was carrying, Russian agencies said. After that, agencies said the F-16 left the area. 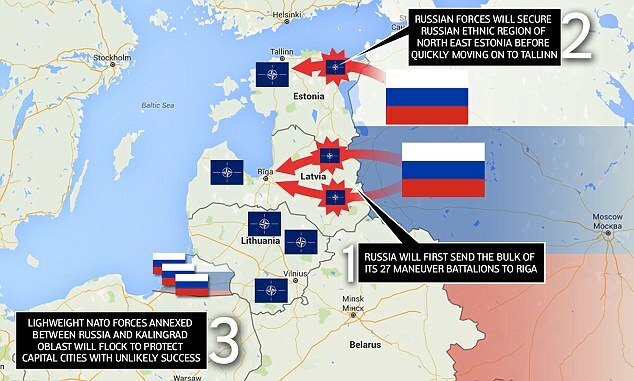 The Baltic Sea has become an area of rising tensions between Moscow and NATO. Earlier this month, Russia scrambled a fighter jet to intercept a nuclear-capable U.S. B-52 strategic bomber it said was flying over the Baltic near its border, in an incident that had echoes of the Cold War. The Kremlin referred questions about the latest incident to the defense ministry, which did not immediately comment. It has said in the past that all Russian flights over the Baltic are conducted in strict accordance with international law. The incident occurred a day after the Russian defense ministry said an RC-135 U.S. reconnaissance plane had swerved dangerously in the proximity of a Russian fighter jet over the Baltic. The ministry said at the same time that another RC-135 had been intercepted by a Russian jet in the same area. The Pentagon had a different version of events. Apparently referring to the same episode, Pentagon spokesman Navy Captain Jeff Davis said the U.S. aircraft "did nothing to provoke this behavior." The Pentagon said the intercept had been unsafe and accused the Russian pilot of flying too fast and having "poor control" over his SU-27 fighter jet. Well, the West of Russia does happen to be where the invasions of Russia frequently come from, historically speaking. From Swedes and Teutonic Knights, Frenchmen and Germans and Poles, that has been the case. Therefore, a buildup of Russian forces at this time is both natural from a military standpoint and also quite serious. Poland, Europe, and NATO have all been targeted by Russian information attacks. Moscow has been mastering the methods of covert aggression for years, bringing down the levels of security in many European countries, and particularly in the Central and Eastern European countries (CEE). The strengthening of NATO’s Eastern Flank would serve to curtail Russia’s influence over the region. Therefore, the Kremlin has intensified its aggressive activities. This was particularly visible during this year’s edition of the Anakonda military exercise, a key training event for Polish Armed Forces with a high participation of allied countries and organizations. Several conclusions can be drawn from analysis of the activities Russian propaganda has taken against ANAKONDA-18. Russia sows fear by trying to convince public opinion in Poland that if a conflict between Russia and NATO broke out, our country would be doomed (it threatens us with a nuclear attack, puts forward hypotheses that Poland is in the gunsites of Russian missile launchers, pushes claims that “Poland will serve as a training ground for U.S. and Russian nukes”). The Kremlin would like to see the Poles feel threatened and bound to fail should there be a confrontation with Moscow. Therefore, Russia portrays the Polish Armed Forces as unable to conduct defensive operations, with low morale and far less training and skill than their Russian counterparts. In the same vein, NATO is depicted as an “empty” alliance that does not offer any guarantees. Moscow’s propaganda fabricates negative opinions about the Polish Armed Forces and puts them in the mouths of both Polish and allied soldiers and commanders. At the same time, the capabilities of the Russian army are lauded, in terms of modernization of the military equipment and the capabilities of troops. The campaign of fear targeting Poland is aimed at paralyzing the minds and the will to act of our soldiers, but also our countrymen and decision-makers, in order to prevent our country from defending its interests effectively. 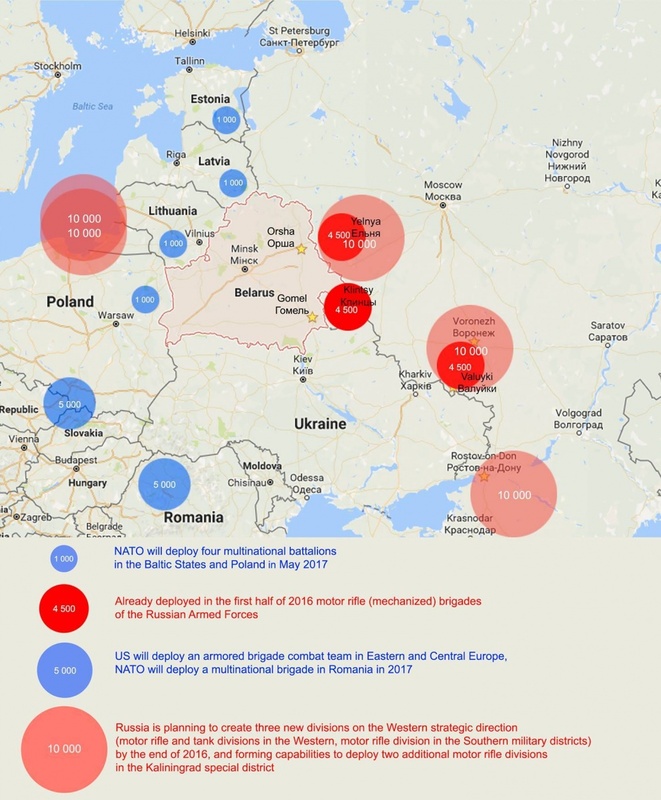 Russia also tries to spread a false picture of NATO’s activity on its Eastern Flank, suggesting that the Alliance takes aggressive actions that Russia is forced to neutralize (according to the Kremlin propagandists, the USA and NATO want to clash with Russia, with ANAKONDA-18’s utmost goal being to exercise aggressive operation against Russia and Belarus). The Russian narrative is also about accusing Poland and other NATO members of being irresponsible. If you went by pro-Russian media, you would read that given the number of soldiers and the amount of equipment, ANAKONDA-18 might spark off an armed conflict. The same media presented a manipulated scenario of the exercise and lied about the number of troops. The alleged “100,000 soldiers” who were to take part in the exercise and pose a serious threat to Russia, turned out to be just 17,500 in reality. At the same time, Moscow accused the Alliance of covering up its activities and failing to comply with transparency requirements, which are, by the way, two things Moscow itself always does. The strategy of manipulating the facts about the activities of NATO has become a permanent tool of Russian propaganda where the Kremlin’s aggressive policy is portrayed as a response to the alleged aggressive posture of the West. Information campaigns against ANAKONDA-18 are implementations of Moscow’s multidimensional goals. By disseminating this message, Russia seeks to trigger anti-NATO sentiments in Poland, undermine the morale of Polish people and servicemen, diminish their trust in their allies and military alliances (for example by claiming that due to the cooperation with the USA our country has become vulnerable to attacks by Russia and ISIS, and any guarantees given by NATO are empty). Further, it tries to weaken political decision-makers in order to impair or even immobilize the abilities of the Polish state to launch a defensive military operation against a potential kinetic military action (Russia suggests that Polish Ministry of Defense is torn by conflicts and that the society does not accept the policy of the current government). Russia undertakes similar actions in other countries of our region, with special focus on Ukraine, where Russia makes tensions skyrocket, but also in the Baltic states. By acting in line with the hostile influence theory, Russia strongly believes that it will be able to paralyze the activities of NATO members, particularly on the Alliance’s Eastern Flank, in order to push its own agenda. Russia uses a permanent disinformation campaign to pave the way for further steps, namely intimidation of opponents and immobilization of defense capabilities. The aim of information offensives is to render the audience vulnerable to Russian influence to take for granted a distorted picture of reality. To achieve this, Russia uses very simple tools, namely it publishes false information, manipulates the content posted to credible media, and attributes fabricated words to authority figures. Websites that spread pro-Russian propaganda contain interviews with Polish and international military officers, scientists, and journalists during which they say things that sound as if they were taken directly from Russian instructions. But those interviews either never happened or were fabricated. Opinions presented by the interviewed were tampered with or completely made up. Due to the fact that those people really exist, such fake interviews appear quite credible. Not only words, but also images are found in the Kremlin’s propaganda toolkit. Pieces published in support of pro-Russian disinformation come quite often with photos taken at a completely different time and in a completely different situation. Another strategy employed by Russian disinformation websites is to interpret texts posted to credible news websites in such a manner that their meaning is heavily distorted. This way pro-Russian disinformation platforms appear more trustworthy, as the readers are not expected to check facts. The activity of Russia is characterized by long-term goals, with the “endstate” being to permanently distort the way the whole social groups think. Ultimately, the target audience is supposed to draw conclusions that are in favor of the aggressor and take actions in favor of the Kremlin. The analysis of news regarding the ANAKONDA-18 exercise spread by Russian propaganda outlets has shown that pro-Russian content is actively promoted. Attacking Poland has become a permanent measure employed by Moscow. Any change with in Moscow’s behavior with this respect is rather unlikely. 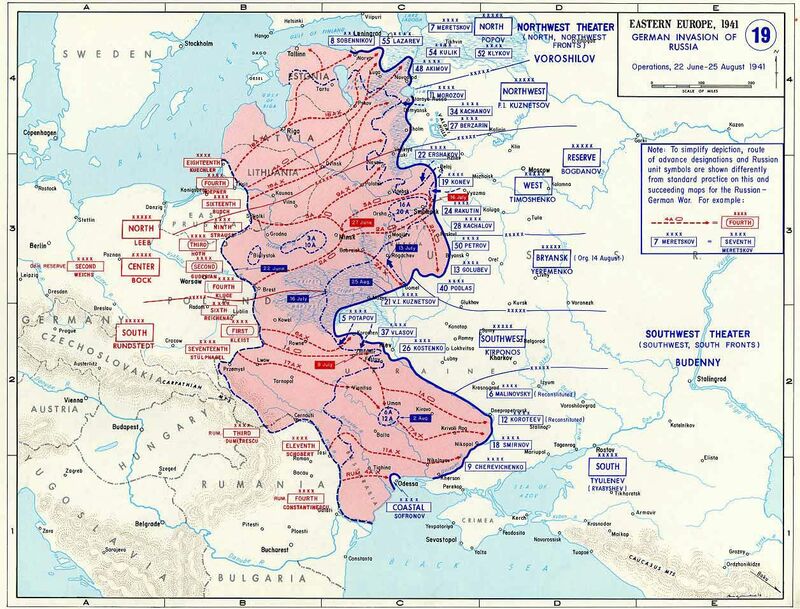 Russian operations against Poland will continue, as now they have gained a strategic importance. Currently, Poland and the USA are working to strengthen their political, energy, and, most of all, military cooperation. An enhanced U.S. military presence in Poland, or maybe even a permanent military base, is on the table. This strategic project is of utmost importance not only to our country, but also to the whole of Europe and NATO. If negotiations between Warsaw and Washington conclude successfully, this will be a serious blow to Russia’s abilities to conduct subliminal operations in CEE. And Poland is the key country for the security of the NATO’s Eastern Flank. With an increased troop presence in Poland, the USA will contribute significantly to the enhancement to Europe’s resilience against hybrid activities undertaken by Russia. If a decision to set up a U.S. military base in Poland is taken, this will be a major breakthrough for the security of the whole Alliance. For this reason it is highly likely that one of the goals of the current Russian policy towards Poland is to paralyze decision-making processes that could lead to shifting the NATO’s strategic area of defense in the East towards the territory of Poland. The Russians are determined to prevent the NATO’s Eastern Flank from increasing its defense capabilities, as this would impair the Kremlin’s operations in Europe. Therefore, the disinformation campaign against “ANAKONDA-18” should be understood as only one of many elements of Russian policy against the interests of Poland and the whole Alliance. For Russia, an enhanced defense potential of Poland and a U.S. military presence in our region will be a serious operational impediment. For our country and for NATO it should be clear that Russia is playing here a strategic game.